This week in MUSE: Meditations on the nature and value of Work. “[Today’s artists] are the only ones who can express the spirit of what it means to be alive today. • “Pictures of Garbage”, by Vik Muniz. Also, the documentary film “Wasteland”. • “Blindness”, by Jose Saramago. • “If”, by Rudyard Kipling. 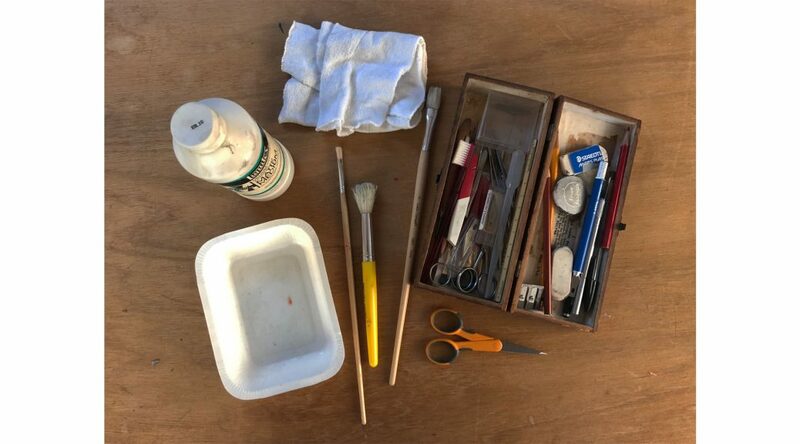 • “The Third Self: Mary Oliver on Time, Concentration, the Artist’s Task, and the Central Commitment of the Creative Life”, by by Maria Popova. If you watch the television show Wheel of Fortune you may remember Shirley aka ‘Possum’, a contestant on the January 23rd broadcast. Her charming description of her work as a pharmacy tech and delivery driver encoded everything I recount in Emotional Labor, about Kentucky and caring. Cover art: Rube Goldberg Machine Cartoon (excerpt). Original by Bryant Arnold at cartoonaday.com. 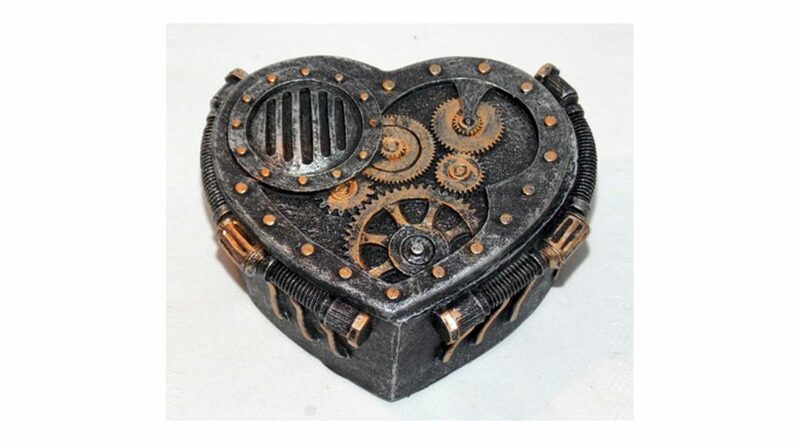 Emotional Labor: Steampunk Trinket Box. Creative Work: photo by Bruce Wujcik. 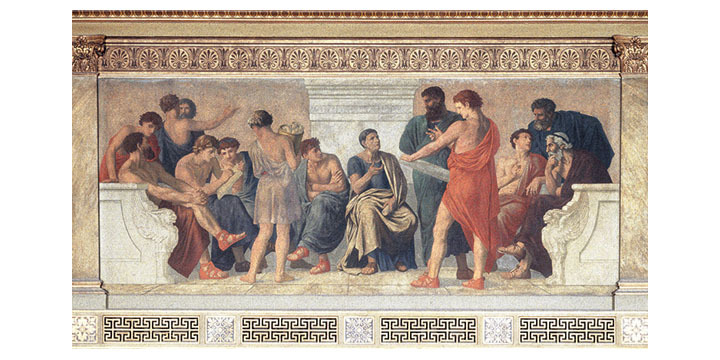 Fan_of_KathyFan: School of Aristotle. Fresco by Gustav Adolph Spangenberg, 1883-88. 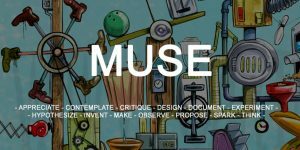 With all of the work this past year launching MUSE, establishing writing as a daily practice AND getting all of my backlogged ideas and products out in the world, I haven’t spent as much time making art as I used to. But now that issuing MUSE is more routine, I have time again in studio. For this issue about work, I thought I would share the process and craft of making a paper painting. Here are a few in-progress photos of the first in a new series about Iceland. January is also the month of Bruce’s birthday. Here is the card I made for him.